The Governor of New Mexico Susana Martinez is pro-life. 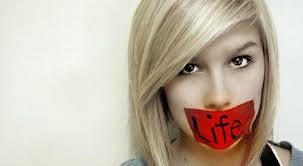 But as the big day approaches for the ban against late-term abortions in Albuquerque, Gov. Martinez is silent. She is simply not talking about the bill at all. She's not saying she's for it. She's not saying she's against it. Does anyone know why? If she's unpopular right now and fears hurting the chances of the law passing, that's cool with me. But is it just politics and she doesn't want to be associated with the pro-lifers? Because then she's not really PRO-life. She would just be against abortion when it's convenient. The Right to Life is the state’s acknowledgement of the sovereign person’s free exercise of his will to live.